On Sunday, May 15, 2016 at Wildwood Community Church, I preached a message from Romans 8:31-39. 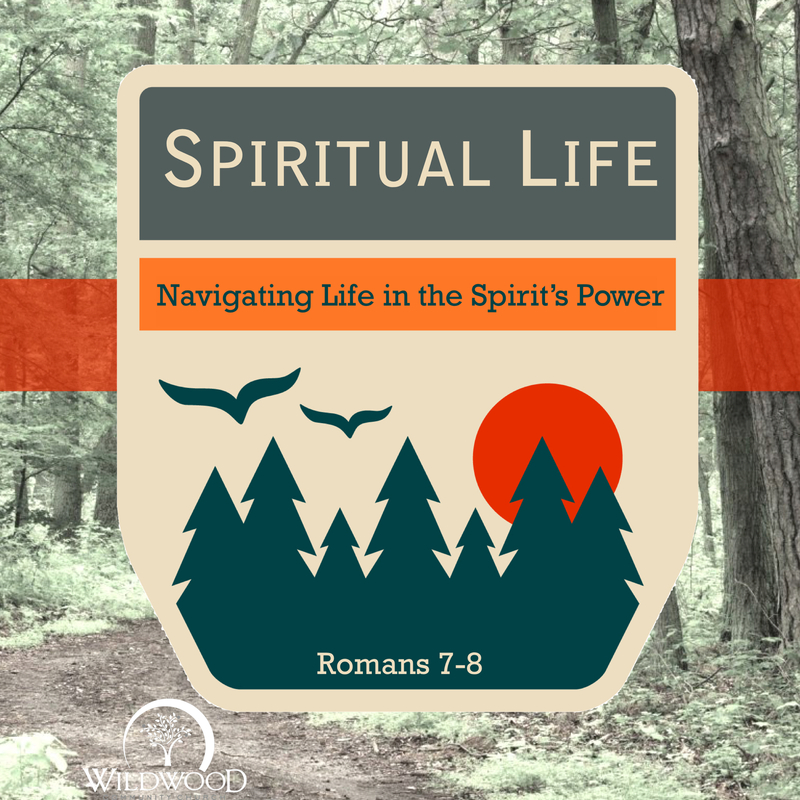 This message was the seventh and final part of the “Spiritual Life” series. Below are a set of questions related to the message for further reflection or group discussion. Paul spends the first 8 chapters of Romans describing the Gospel of Jesus Christ – how sinful people can be saved by the grace of God through what Jesus has done for us. 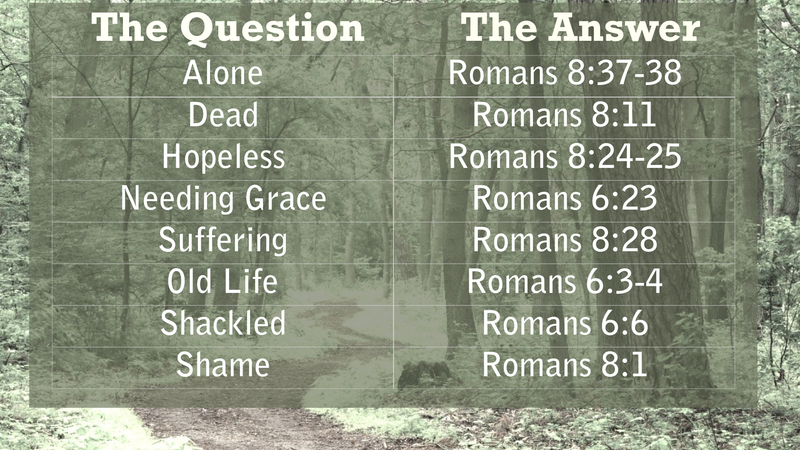 Paul ends this section with a series of questions (found in Romans 8:31-39). What do you think Paul is trying to demonstrate by asking and answering these questions? Stop and think for a moment about what Paul says in these verses. He says “God is for us,” “He wants to graciously give us all things,” “He justifies us,”“He will not condemn us,” and “He will always love us.” This would be encouraging news from a friend or family member. However, these attitudes are from GOD HIMSELF. How does hearing these truths encourage you to trust God more with your life? What are some of the things in your life that seem to “defeat” you? In what way are you “more than a conqueror” over the things you struggle with today (see 8:37)? 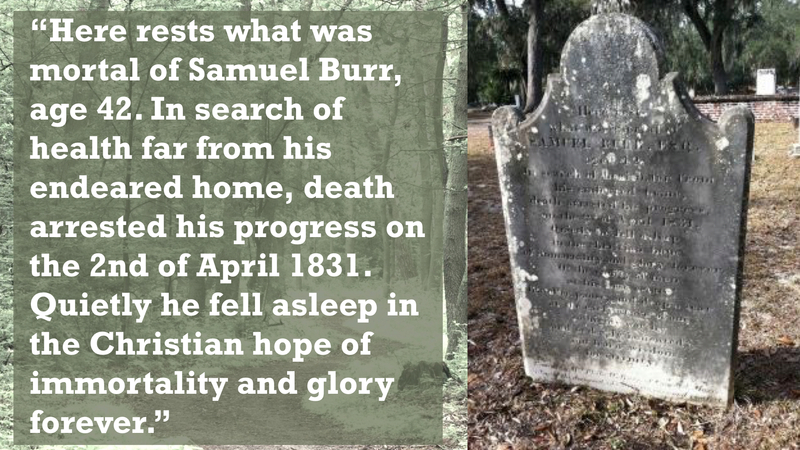 These verses point us toward the idea that Christians are “eternally secure” in Christ – their salvation cannot be lost. Have you ever stopped to think of the security you have in your relationship with Christ? What stood out to you most from this message/passage?